And the funny thing is that this is true even if you don’t think these things are a problem – if you’re totally fine with our passive discrimination towards brown people, you’re hardly going to be fine with the legal line of multiculturalism, are you? No matter which way you slice it, there are big parts of Australia that any citizen will dislike, simply because anything as massive and complex as a country is going to contain a lot of contradictory behaviours and standards. But this is just semantics, right? You can still be proud of something even if it’s not perfect, you just need to do your best to improve on the flaws. In fact you could argue that is the defining characteristic of a patriot; someone who is proud of their country regardless of its problems, and is willing to do what it takes to overcome these flaws. Hooray for patriotism! But this comforting line of reasoning still wasn’t quite doing it for me. There had always been something… disquieting about being proud of my nationality that I’d never been able to put my finger on exactly. I’d usually gotten around it by writing it off to the way patriotic messages tend to be used to promote bigoted agendas, rather than a problem with patriotism itself, but after a year traveling I wasn’t so sure this was right any more. Sport is the first thing to come to mind, when our team is competing against other nations to see who is the best. 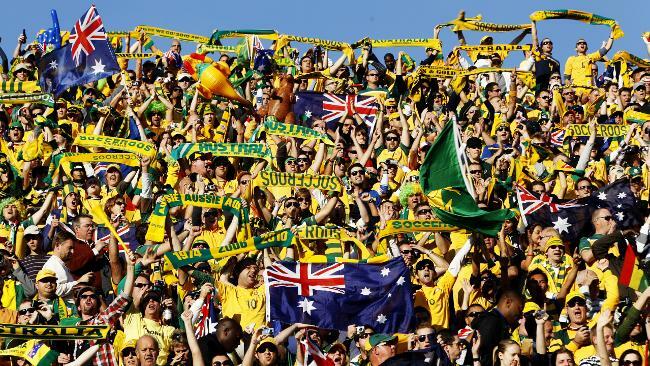 If they weren’t competing against other countries, but rather other Australian teams, would we be wrapped in patriotic fervour then? Of course not; we’d barrack based on whatever state or region they were from. Why is that? They’re still Australian teams, surely if patriotism is about celebrating who we are then we shouldn’t need other countries around to feel that way. How about Australia Day then? The day where we all celebrate the birth of our modern nation (while awkwardly ignoring the theft and genocide that made it possible) by taking a day off, going to the beach, wearing vaguely-patriotic clothing and relaxing. No other countries are involved in that, so surely that shows we can be patriotic without comparing ourselves to others, right? 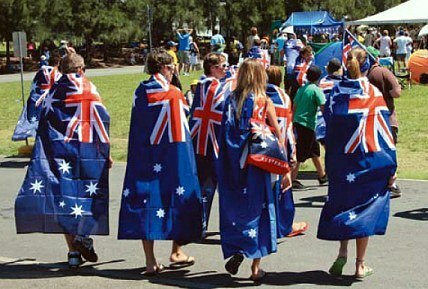 But ask yourself: how much of what we do on Australia Day is actually in any way about being proud of our nation? The vast majority of us just appreciate an excuse for a day off, and wear our green and gold thongs more for the look of the thing rather than to actually make a statement about the state of the nation. 1. Measuring ourselves relative to others is a brilliant way of making yourself a neurotic ball of smugness and anxiety. Either you’re going to be gloating at those who are ‘below’ you, or stressing about those ‘above’ you, and this is never going to stop because you will never be the best at everything – even if you were, you’d have to worry about threats to your very many titles. It’s little wonder then that the most loudly patriotic among us also seem be the most insecure and easily threatened. Enough dancing around the point, let me to put my cards on the table: patriotism is not about the celebration of who we are and what we have achieved, it’s a celebration of what we lack, who we are better than, and why we should look down on them. It’s a divisive, alienating, simple-minded response to our own insecurities, attempting to make ourselves feel better about our problems by mocking those who have it worse, and resenting those who have it better. I stood there, staring blankly as this realisation thundered through my head in front of that class of increasingly uncomfortable high school students, and realised that this was why I had never been comfortable with the idea of patriotism. Arseholes like Pauline Hanson, John Howard and the Cronulla rioters didn’t hijack patriotism, they were products of it. ‘Aussie Pride’ wasn’t being twisted to their agendas to fear and loath outsiders, to willfully ignore our own shortcomings and blame others for them – being proud of our country and comparing ourselves endlessly against other nations, despite none of us being able to claim much credit for our situations, was the neurotic soil in which the diseased plants of xenophobia found root. I am an individual who lives in Australia. There are many good things about Australia, as well as many bad things. The good things should be celebrated and encouraged. The bad things must be changed. And on this very simple basis, free of all the anxiety and arrogance of patriotism, my duty as a citizen becomes clear. This entry was tagged Australia, bigotry, Choice, Culture, Government, Patriotism, Pauline Hanson, Pride, racism, Relationships, Responsibility, Social, Society, Violence. Bookmark the permalink.